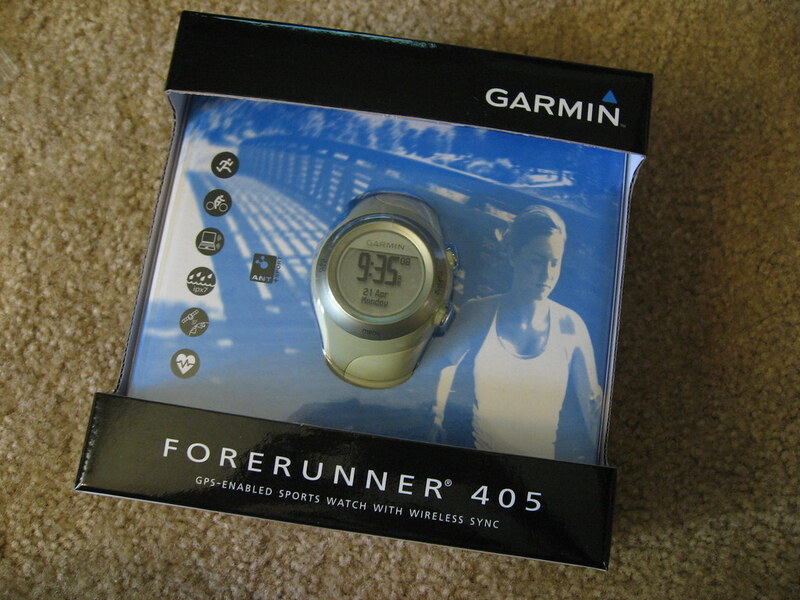 The Journey of a Running Green Girl: The Green Girl Has A Green Garmin Forerunner 405! I am one happy Green Girl! Whoo hoo! My family got me a green Garmin Forerunner 405 with heart rate monitor (HRM). It arrived today from my favorite online store, ZombieRunner. Did I mention it's green? I am absolutely giddy with excitement. I cannot wait to take it out for a run tomorrow morning.